For a few months while I was in college, my friends and I were engaged in a full scale (yet friendly) prank war. It was guys versus girls in a game of who could out-do who, and it escalated to a point where, to preserve our friendships, we actually drafted and signed a “Prank War Manifesto” to make sure we didn’t go too far. One of the girls had this 3 foot tall wooden fork and spoon set that hung on the wall in her kitchen, and the guys managed to smuggle them out of the house one night. To get even, the girls rallied a few days later and went over to the guys’ house when we knew they would all be in class. We shimmied in through the bathroom window and ransacked their kitchen, making out with all of their silverware—even grabbing the dirty ones from the sink and dishwasher—to hold as ransom until the other items were returned. For a day or two the guys got by eating their cereal with large serving spoons before they finally agreed to make the trade. These prank war episodes were punctuated by midterms, football games, camping trips, and coffee addictions. But in the midst of all of the fun and frivolity of life at Oregon State, we also were trying to sort out what exactly it was we wanted our lives to be about. We had made our Prank War Manifesto, but the guidelines of how we would live the rest of our life seemed a bit murky at times. Even now as I launch into my thirties, I sometimes feel like I could use a clear manifesto on just what exactly I’m supposed to be pursuing with my life. As I make decisions about how I use my time, what habits and patterns I establish, the people I surround myself with, and the education and careers I pursue, do I ever pause long enough to ask what it is I’m hoping to accomplish when all is said and done? Life can be about a lot of things. At the end of the day, when I look back, I want to know that my life, my days, and my decisions were being used for the right things. 3 things. I can try and do those three things. 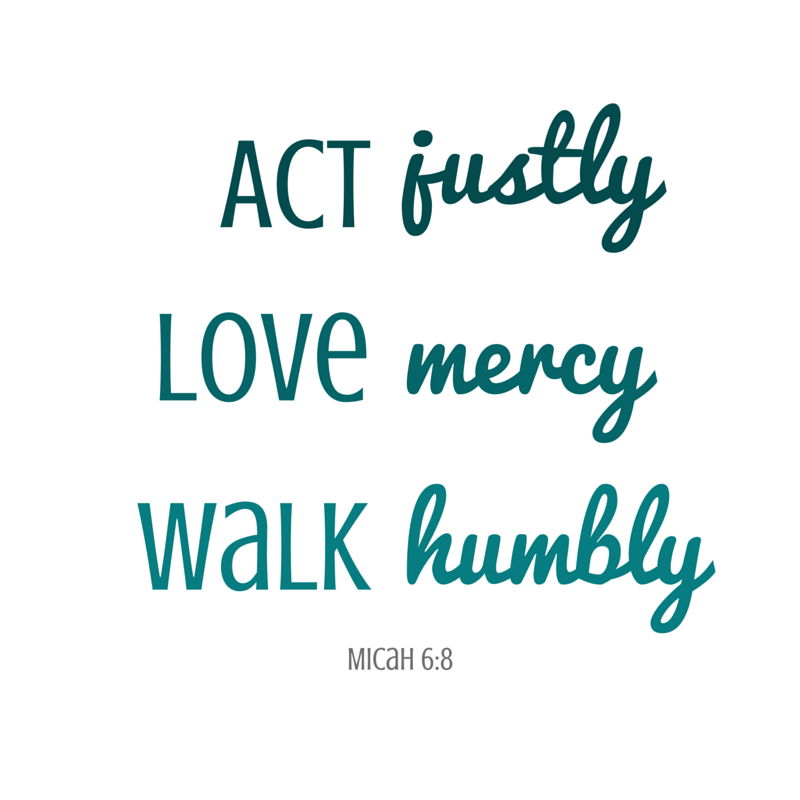 I think the world would be a little bit better if all of us learned how to do these three things a little bit better together. What are you hoping to accomplish with your life? What do you need to say no to, in order to be able to say yes to the right things? Donkeys + Palm Branches: What’s the deal with Palm Sunday? Birthdays and bridal showers. Work schedule and working out. Fundraisers and friends. Trips and to-do lists. In the midst of this, because I work at a church and Easter is kind of a big deal for us, I’ve spent countless hours thinking about the significance of Easter and the events leading up to it. In doing so, I realized I’ve never given much thought to Palm Sunday. At best, it served as a week’s notice that Easter would be here soon, cueing a rush to get those Easter eggs dyed and stock up on my annual Cadbury fix, because the real show would be coming soon. It was the advance warning: If you are singing hosanna and there’s talk of palm branches, make sure you’ve got your Easter plans locked in because you’ve only got a week left. Poor Palm Sunday. You’re the opening act. No one actually buys tickets to see you. And yet this year, perhaps for the first time in my life, I’m excited to celebrate Palm Sunday. Why? 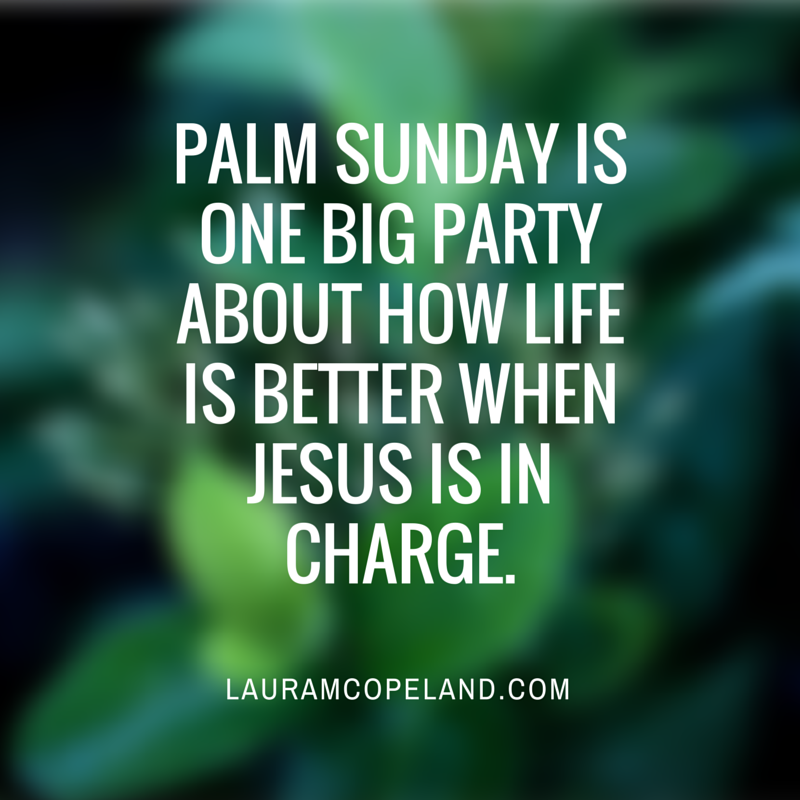 Palm Sunday is one big party about how life is better when Jesus is in charge. Here’s a little more of what I’ve learned about Palm Sunday, and why you might want to be excited about what it points too as well! The original Palm Sunday, when Jesus entered Jerusalem the Sunday before his eventual crucifixion, was taking place at the end of Passover. Passover week commemorated God’s deliverance of the Israelites out of the clutches of the Egyptians. It was a joyous celebration, a time when people from all over Israel would converge in Jerusalem to remember and celebrate what God had done. 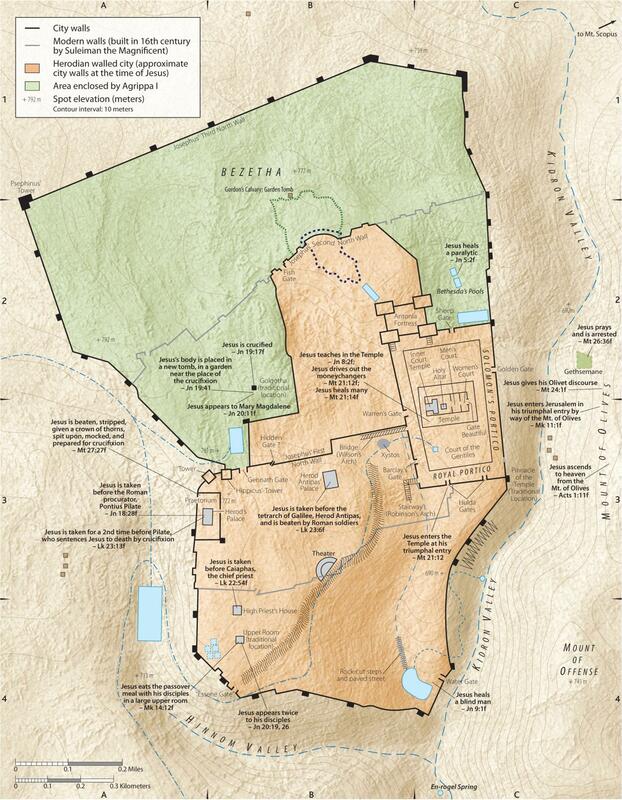 Under the current Roman occupation, hopes for a future deliverance would be running high. LORD, save us! LORD, grant us success! The LORD is God, and he has made his light shine on us. With boughs in hand, join in the festal procession up to the horns of the altar. Expectantly hoping for the Messiah, the one who would deliver them, the Israelites looked forward to the day when God’s rightful king would once more ascend the throne. He would lead his people to victory, and he would also lead them back to true worship of Yahweh. 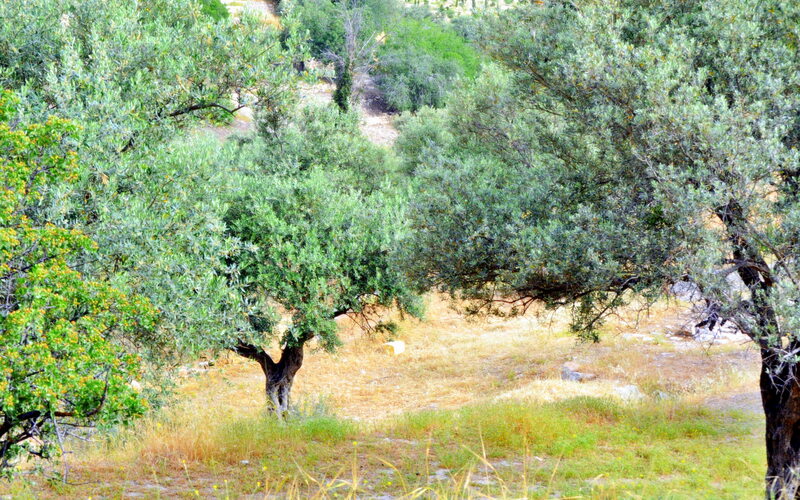 Psalm 118:27 describes how the Messiah’s procession would be celebrated with boughs (palm branches) in hand. The disciples went and did as Jesus had instructed them. They brought the donkey and the colt and placed their cloaks on them for Jesus to sit on. The people of Israel are beat up, broken, oppressed, marginalized, and longing for the days when God’s favor was with them. They are holding out hope for this promised Messiah figure, the one who would once again establish God’s rule and reign. They know that life is always better when it is lived under the leadership and guidance of the rightful king. When God’s anointed is on the throne, all is as it should be. That’s what people are hoping for that first Palm Sunday. And maybe that’s a little bit of what you and I need today. Even at its best, this life on earth carries with it a level of brutality and brokenness. I would say there are a lot of good things in my life right now. But even with all those good things, I’m so aware of my own sin and brokenness, and the profound brutality and brokenness of the world around me. Even at its best, this life is far from perfect. And this world will never BE perfect until Jesus comes again and once more humanity is living fully under the rule and reign of the rightful King. Palm Sunday is about the hope that God will make, and indeed is making, all things right. Life is always better when it is lived under the leadership and guidance of the rightful king. Humankind was made to live in a proper relationship with our Creator—a relationship where His divine design for life and human flourishing is realized. Humanity is at its best when it is submitted to the way God designed life to be lived, reconciled to God as well as to each other. The first Palm Sunday inaugurated a beautiful opening act, setting the stage for Jesus to conquer the power of sin and death through his death and resurrection. The rightful king reclaimed his people, his territory. 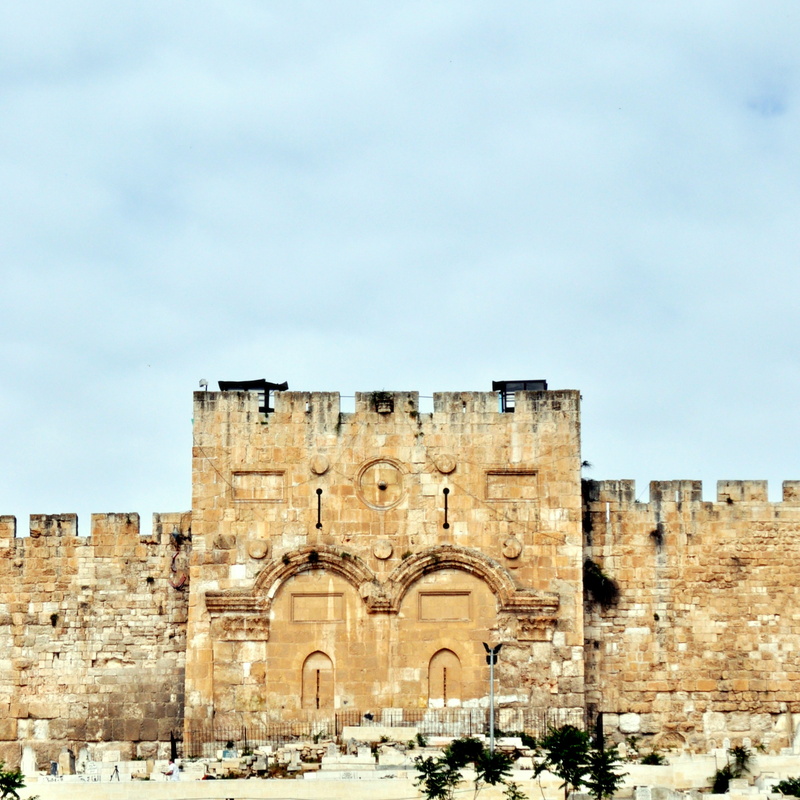 Since that first triumphal entry into Jerusalem, the story of God taking back the hearts of his people from the clutches of the enemy continues to unfold. The rule and reign of Christ was undeniably established that week, but it is not yet fully here. This Jesus life is here, now, in glimpses. Sin no longer has mastery over us. Death no longer has the final say. Hope, joy, love, and peace are abundantly available as we walk through life with God. There are moments, glimpses, when we see just how breathtakingly beautiful life with God was meant to be. But then we come crashing back to this earth, and the brutal reality of living in a broken world hits us anew. Life is always better when it is lived under the leadership and guidance of the rightful king. As we encounter the places in this world where the ways of God are not recognized or lived out, it serves as a brutal reminder of just how broken this world still is. Can you imagine what it will be like when there’s no more glimpses, and we are blinded by the beauty that is fully revealed? Can you imagine what it’s like when, for the first time since the garden, humanity is living fully under the rule and reign of God and sin and brokenness are nowhere to be found? Palm Sunday is a foreshadowing of what the real triumphal entry will be like. Jesus came once to Jerusalem and initiated a new way for God’s people to be reconciled, a new way to live, a new way for the kingdom of God to start pushing back the darkness in this world. But another Palm Sunday is coming, and on that day all the wrongs of this world will finally be made right. The rightful king will be on the throne, and all will be as it should be. The King of Kings will be the ONLY King, and the ways of God will rule once more on earth. For the first time in my life this week, I genuinely prayed for Jesus to come back. I love my life, and yes, there are definitely still a lot of things I’m hoping to experience and see before my time here on earth is done. But honestly, I’m also ready to be done with the brokenness. I’m ready to be done with sin. I’m ready to not have my heart broken as I hear about the brutal and harsh realities taking place around the world. This world will never fully be right until YOU are once again fully in charge. That, dear friends, is a little bit more of what I think Palm Sunday is supposed to be about. I hope you’ll join with me in celebrating this Sunday. Let’s celebrate that Jesus is the rightful king, and rejoice in the victory He has already accomplished over sin and death. But let’s also look forward to the day when the final Palm Sunday arrives! Author lauramcopelandPosted on March 27, 2015 March 27, 2015 Categories TheologyTags Easter, Jesus, Palm Sunday, theologyLeave a comment on Donkeys + Palm Branches: What’s the deal with Palm Sunday? From the earliest moments of human history when we rebelled against our Creator, we were separated. Humanity and divinity were torn apart, humanity choosing to go our own way. Life became striving and toil as we lived under this curse of separation from the One we were made to be with. Only God could bridge this gap, unseparate that which was separated, save the human race He had so lovingly created. We had to wait for God. Wait for the one who would reconcile humanity back to God. Wait for God to make a way to bring humanity and divinity back together again. And then one night, the perfect solution was born. Two natures—divine and human—came together in one perfect baby. One perfect baby who would grow up to be a man who would save all people. God with us. 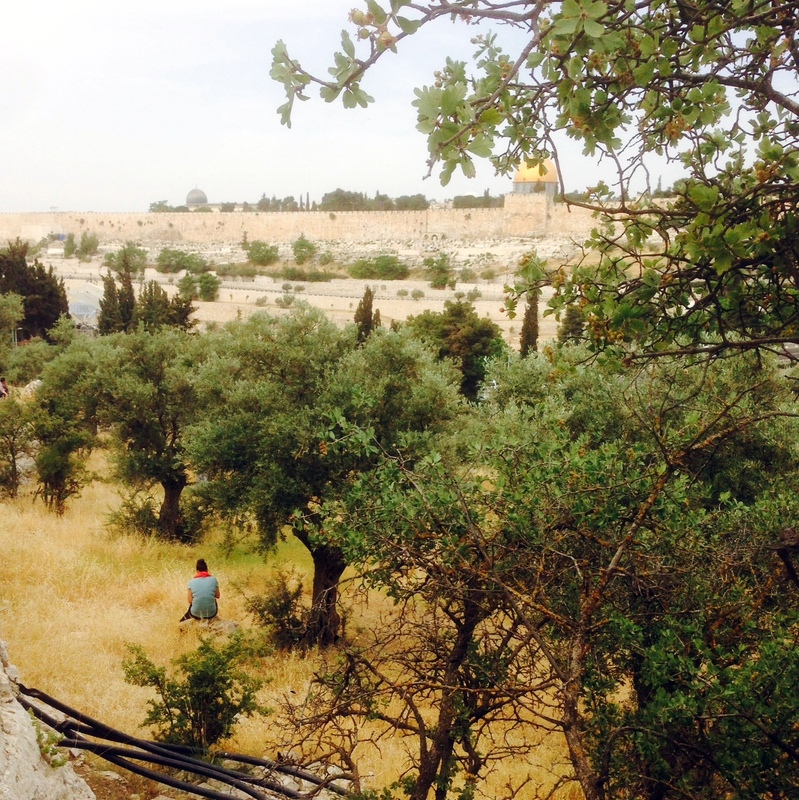 Human and divine together again, lying in a manger in Bethlehem. That which had been separated, humanity from divinity, came together perfectly united in a baby who would grow up to save all of humanity. God has come to that which was his own. Humanity has been reunited with our Creator. And on earth peace among men. In this life we now live, reunited and reconciled to God, we can finally find peace. God is reconciling all things. God is redeeming all things. No more striving. No more earning. No more impressing. God has come down. We don’t have to climb up. I can still vividly recall my first car accident. Especially the part where I totaled my mom’s car. I was 17, driving my mom’s forest green Dodge Neon to soccer practice. I had just pulled up to a stop sign in the neighborhood by my high school, waiting and watching the cross traffic, ready to turn left and hoping to not be late to practice. I saw the oncoming car slow down to make a right turn onto the street I was waiting on, and then I saw that same car lose control, skid straight towards me, and slam into the front of my mom’s car (thankfully no one was hurt—but the damage to the car was extensive enough to declare it totaled. Yep, that’s right. I totaled a car by sitting at a stop sign. What did YOU do when you were a teenage driver?). After the dust settled and I was back on my way to practice, my hands shook as they gripped the steering wheel. For the next few weeks, whenever I sat at a stop sign, I eyed every car driving by as a potential wrecking ball bound for impact. Before that accident, I had never questioned the safety of sitting at a stop sign. It took a few weeks of safe driving experiences to finally move out of that stage when I suspected any oncoming vehicle of devious means, but eventually life as a teenage driver went back to as safe as could be expected. It’s been 14 years since that accident. Thankfully since then my driving safety has suffered little more than two slight accidents where I was rear ended. Even with those, I experienced some minor PTSD for the next few weeks of irrationally bracing myself when I slowed down, expecting the car behind me to barrel into my bumper. As I think about life, specifically in regards to faith and doubt, it helps me to think about how I react to car accidents. I’m going through life thinking everything is fine and then – WHAM – something happens that completely knocks me off base. Sometimes it is something unexpected, or sometimes it is something expected that fails to deliver and becomes a major disappointment. Either way, my regular pattern of life gets hammered by a brutal reality check. Over the course of my life I’ve driven countless hours in a car, and I almost never suffer anxiety about getting rear ended. In my day-to-day experience of the world, drivers stop when they are supposed to stop. It’s not until that regular pattern gets disrupted and I have a reason to question my experience, based on this new data of actually getting rear ended, that I’ll experience some sweaty palms and heart palpitations when I get behind the wheel for the next week or so. But then, after a few weeks of reassuring normalcy that cars indeed will not crash into me on a regular basis, my anxiety subsides and I go back to my normal driving routine. Let’s think about this now in the context of faith and doubt. We all have the things in life that we place our faith in. By the way, I like to define faith as trust in what we have reason to believe is true. Based on our understanding and experience of the world and this life as we know it, we choose to place our trust and order our lives according to that which we believe to be true. Faith, I think, is more of a choice about how to order our lives, what we choose to acknowledge as trustworthy, and how we make decisions in line with what we believe, and less of a feeling. What I’ve observed in my own experience is that I’ll be going through life as usual, with no reason to question or doubt the things I’ve placed my faith in. Then — WHAM! — the rug gets pulled out from under me. Tragedy strikes, hopes are crushed, life hasn’t turned out how I thought it would, someone I trust hurts me, or some other life experience happens that makes me question if my way of thinking about the world, and how I’ve trusted certain things to be true, can really be trusted after all. The question we’re faced with in these moments, as doubt creeps in and we wonder if we can really continue trusting those things we have set our faith in, is how much we let these unexpected moments define our experience of life. Maybe it’s just me. Maybe I’m a much more fickle person than you. But I have a sneaking suspicion that if we’re honest with what we really think, we all have moments of serious doubt at times. What, then, are we to make of the tension that exists between faith and doubt? I think it is normal, natural, and actually healthy for our faith to go through seasons of doubt. For faith to remain vibrant, and for us to not settle into ruts and do things simply for the sake of doing things, we have to constantly remember why we chose to orient our life and follow certain paths to begin with. Seasons of doubt make us question what we really believe, and out of that is a healthy process of seeking the truth and either reaffirming that which we previously believed in with a renewed faith, or refining our faith and shedding false belief that hindered us from being growing people. When I was driving during the weeks following a car accident, I questioned the safety of the drivers around me. Generally speaking, I have faith in the rules of the road, and faith that the other drivers on the road will be following the same set of rules as I am. I have faith when I’m driving down the freeway that the car next to me will stay in his lane and not drift into mine. I have faith that cars will stop at red lights and go at green lights. I have faith that cars will drive on the right side of the road. We literally could not function as a society and drive our individual vehicles to and from work, soccer practice, dinner parties, and the grocery store if we did not all have faith that other drivers were following the same set of driving rules. So it’s no wonder that when someone breaks one of the rules, resulting in an accident, that our faith in the safety of driving is shaken. We panic. We reevaluate how safe driving really is. We question if we can trust what we previously trusted. We wonder if there’s something we could have done differently to prevent the situation. Maybe my response to these feelings of doubt is to look into buying a safer car. Maybe I realize I’m not as aware of the other cars around me as I should be. Maybe I realize my own guilt of being a distracted driver and resolve to change that. Whatever my response, this disruption of my normal assumed safety is a good cause for self-examination and re-evaluation of what I’ve previously trusted. However, just because I’ve been in an accident, it doesn’t mean I give up driving all together. It reminds me that there really are no guarantees of safety in this world and that at any moment things can come crashing in and disrupt my day-to-day routine and experience of life. Just because my faith has been shaken, just because I’m experiencing doubt, just because I’m questioning God, it doesn’t mean I give up my faith all together. It reminds me that I live in a very fallen, very broken, very messy world and there really are no guarantees of safety. It reminds me that at any moment things can completely fall apart, and there literally is nothing I can do to prevent it. But just because I have doubts, it doesn’t mean I throw away my faith all together. I’ve found over and over again that in these seasons of doubt, if I run away from God and stop trusting Him altogether, if I run away from my community of faith, I wind up running away from the very answers I’m looking for. I’m not saying faith should be blind. I’m not saying that we should just ignore hard questions and pretend everything is ok. I’m actually a huge advocate of intellectual honesty in our faith. I’m saying we should give God the benefit of the doubt in these situations and rather than running away, we should lean in even more. Yes, ask hard questions. Yes, be honest about how you’re feeling. But do so as you press into God. So the rug got pulled out from under you? Do you think you’ll find the answers you’re looking for apart from God? In my own experience, I’ve found that even though it’s one of the most uncomfortable feelings, entering into my doubt and not running from my fears has helped bring resolution sooner and grown my faith in significant ways. Sometimes it hurts like hell, and often things get worse before they get better, but running away from my doubts and questions has never helped at all. This is one of those sticky, messy areas of faith. It’s the real life, dirty, gritty, blood-sweat-and-tears part of faith. The part where I’m very aware of my humanity. The part where I do a lot of yelling and cussing and crying in my conversations with God. But it’s also the part where the dark corners of my heart, the places where the hope and love of the gospel haven’t penetrated to yet, get brought to the table and some real breakthroughs happen. It’s where the most real growth and change happen. I wish I had more answers. I wish I could tell you that bad things won’t happen. But the truth is, sometimes life can really screw with you. Hard things happen, and we are left with lots of questions. The point of all this is to say that when you find yourself with those hard questions, that you can take them to God and see what He does with them. Don’t hide the questions. Don’t feel guilty about asking them. I wish I could tell you I know the answers to some of those hard questions. I wish you had answers for some of mine. All I know is that every time I hit one of these seasons, God is right there in the thick of it with me. And the more I’ve learned to lean INTO him rather that away from him, it’s turned out a little bit better. Remember that it’s a season. Eventually, after an accident, you get back to a place where you can be on the road without being driven by fear. Eventually, after a crisis, your faith will stop expecting the worst to happen. I know that if you’re in a crisis of faith right now, it might not feel like it. That’s ok. This is where community is such a beautiful thing because where your faith is weak I can lend you some of mine. Lean into God. Lean into your community of faith. Bring your questions, your heart, your honest self to the table. Don’t let your fear drive you. Lean in. I know you can. The good thing about jet lag was I woke up plenty early to see the sunrise. 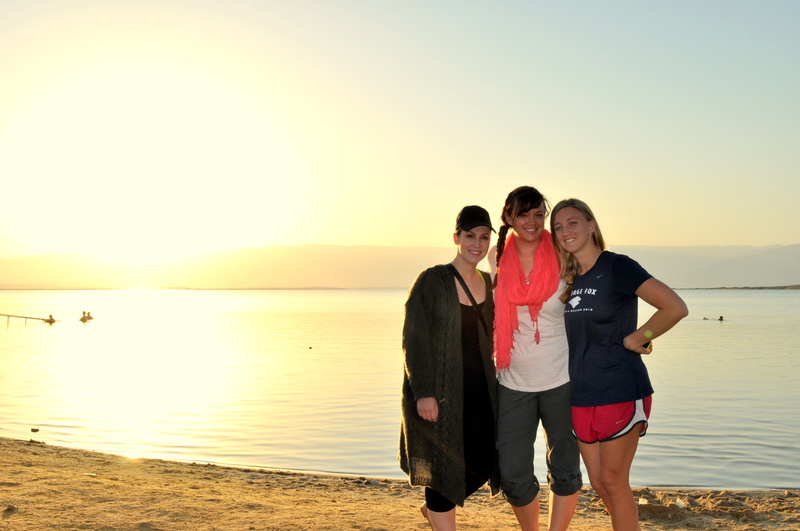 It was the third morning of our trip to Israel and our last morning staying by the Dead Sea. Not wanting to miss this last opportunity, my roommate and I slipped out of our hotel room and slowly strolled down the street and across the sand. Two other friends had also woken up early and were already sitting on the beach. None of us morning people, and all before our morning coffee, not many words were spoken and we all sat in silence reflecting as we watched the sun rise over the Dead Sea. 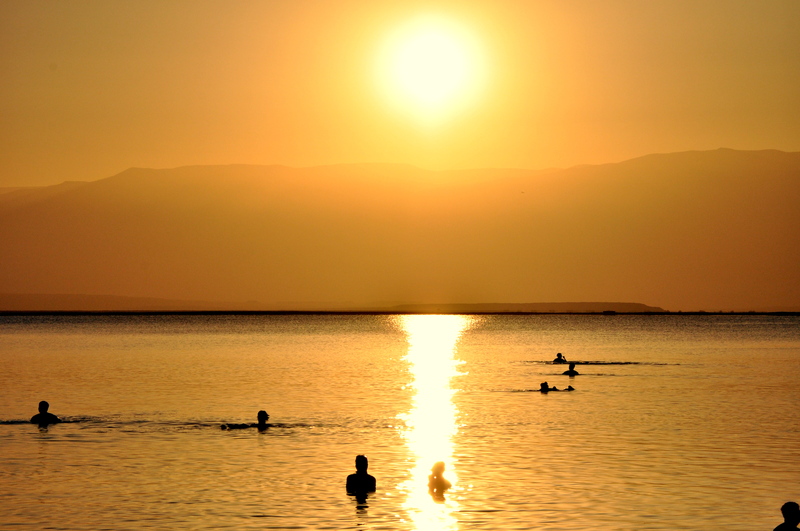 As I read and prayed in the serenity of a sunrise, reflecting on God’s lovingkindness and faithfulness that I have seen in my own life, and as more vacationers slipped into the water for a relaxing morning swim in the Dead Sea, my mind wandered to the land around me. 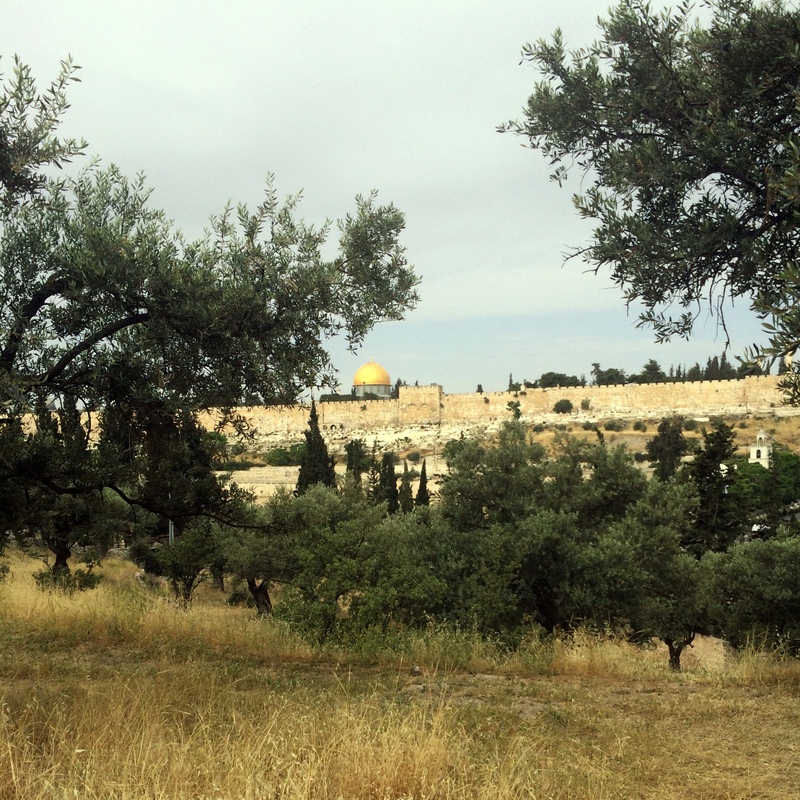 One of the most common questions I received about my trip was about the safety of going to Israel. Before I left, people asked if I was worried, or if I would be safe. Since returning, people have asked if I felt safe while I was there. I understand (and appreciate) the concern people had over visiting Israel! 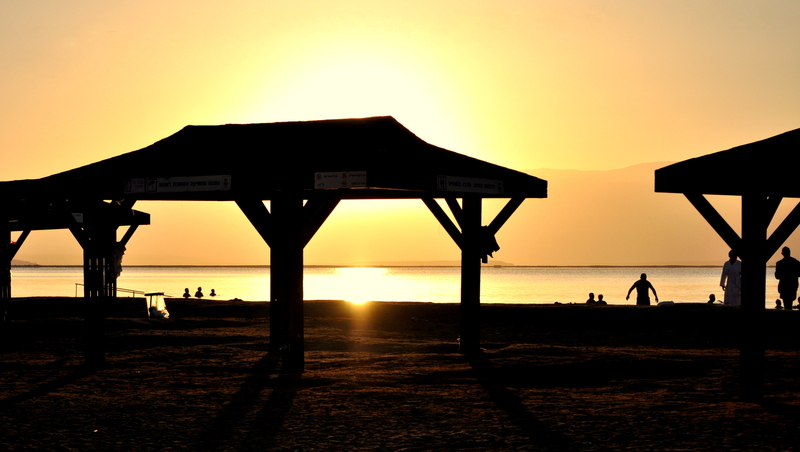 Even as I sat on the shore of the Dead Sea, water quietly rippling up onto the sand, and spa-goers peacefully floating and soaking in the minerals in the water, I looked across the water to the mountains that marked the country of Jordan. Jordan has become home to millions of Palestinian and now Syrian refugees as they flee the civil unrest going on in Syria. Traveling north less than 100 miles along the Dead Sea is the West Bank, one of the Palestinian controlled areas of Israel. And yet the sun kept rising steadily. Water kept rippling quietly on the shore. Spa-goers kept floating peacefully. In a country that has been torn apart by war, surrounded by political instability, I sat on the shore watching the sunrise and soaking in the peacefulness of the moment. In this world of ours, we see see truly incredible beauty, peace, and goodness existing right alongside unspeakable evil, sin, and brokenness. There is terrible woundedness, and yet glorious redemption. To live in a fallen world is to live in this tension of brokenness and redemption. Evil and love. Conflict and peace. This is true for the world, and it’s also true for the human heart. What exists as a macrocosm for humanity as a whole exists as a microcosm in our individual lives. We’re broken but we’re redeemed. We sinful but we’re forgiven. We’re proud and selfish but we’re capable of great love and mercy. In your life, you might have a day, a week, or a month where it feels like everything is falling apart. And yet in the midst of the chaos of your life, there are also moments of peace, beauty, and goodness. You are never all broken. Your life is never all bad. Even in the midst of conflict, evil, sin, and brokenness, beauty is breaking through. Beauty will always break through. Peace can always be found. And so as people who have found hope, peace, forgiveness, and love in Jesus Christ, we need to proclaim this to the world. Creation continues to proclaim the goodness of God. Sunrises and sunsets. Water washing on the shore. Nature continues doing what it was made to do, and in doing so reminds us of the One who created all things. How much more so do the people of God need to continue to proclaim to a world that suffers deeply that we have found hope. That we have found peace. That no matter how bleak the situation seems, there is still a God who deeply loves them and offers them a second chance.